This post brought to you by Tom’s of Maine. The content and opinions expressed below are that of Stagetecture. Earth Day is over but it doesn’t mean you can’t continue your eco-friendly lifestyle with the health products you and your family use. 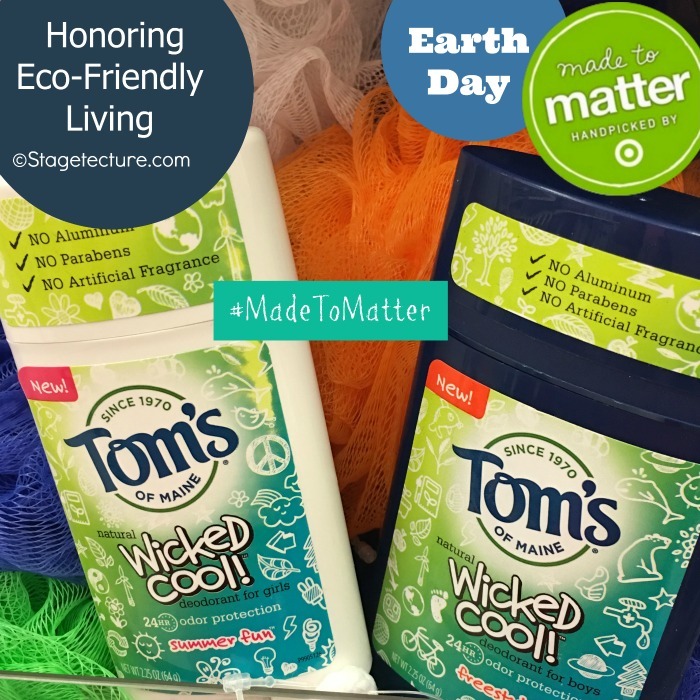 I’m excited to pair up with Tom’s of Maine who are introducing their new product launching in Target’s Made To Matter collection. Any reason go into my local Target is a great day for me! Take a look at their personal care products they are featuring that you will grow to love. Earth Day reminds my family to treat the Earth with care but also our bodies. So many toxins and unhealthy pollutants come into our homes and lifestyles on a daily basis. Earth Day reminds us that without a healthy Earth and inhabitants our children’s children won’t have a bright future. 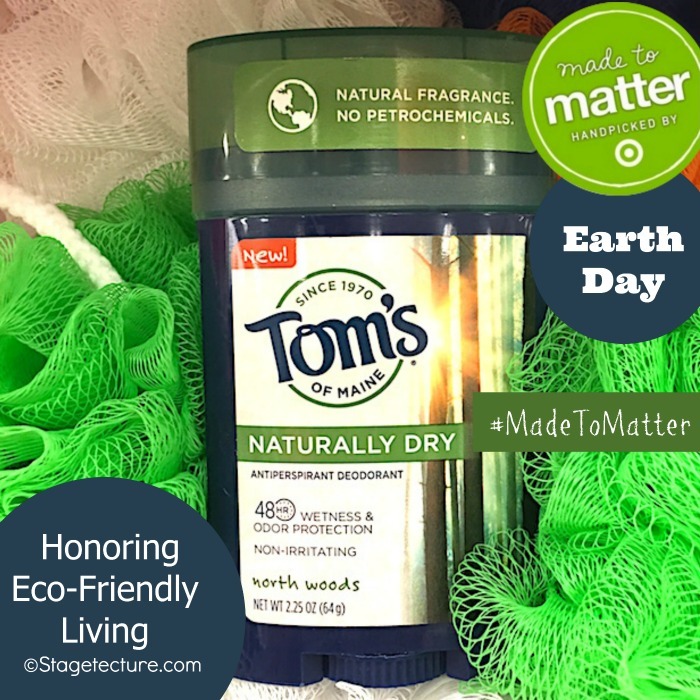 How do you try to bring Earth Day principles into your home throughout the year? 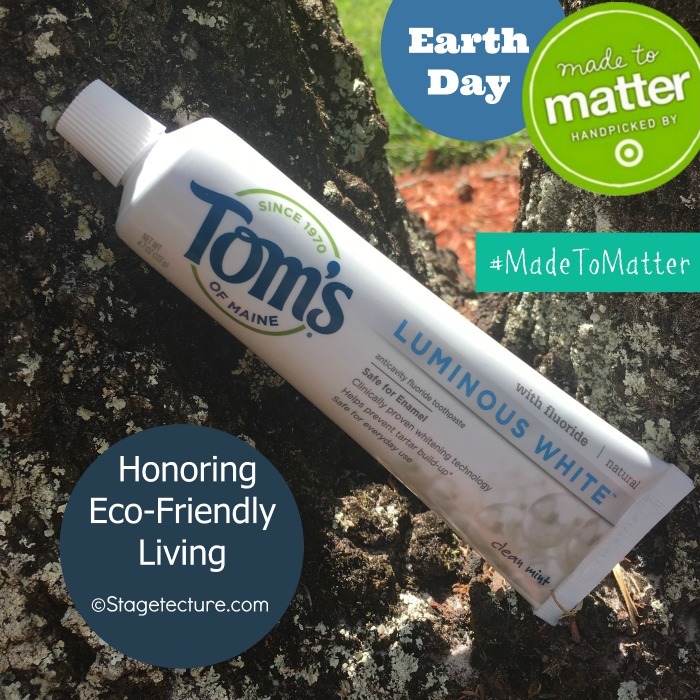 Tom’s of Main Luminous White Toothpaste – Their most advanced natural whitening toothpaste that is safe for enamel, and is gluten and paraben free. Girls and Boys’ Wicked Cool! Deodorant – Their 1st natural deodorant made just for boys and girls, providing 24-hour odor protection and free of aluminum, parabens, and artificial fragrances. Men’s North Woods Antiperspirant – Their first natural antiperspirant made for men that provides all day odor and wetness protection without petrochemicals, artificial fragrances, or irritation. You can order any of the Tom’s of Maine products here on Target: cartwheel offer. 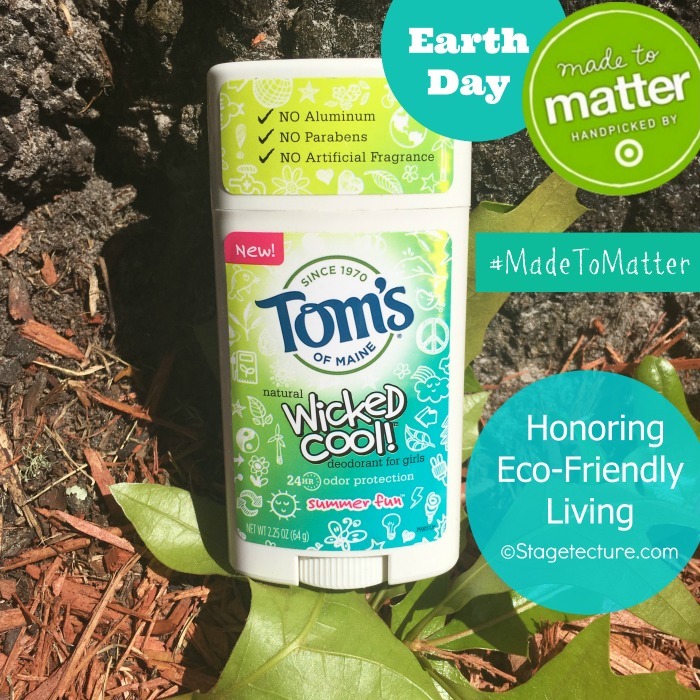 This season I encourage your Target visit to include Tom’s of Maine products from the Made to Matter collection. 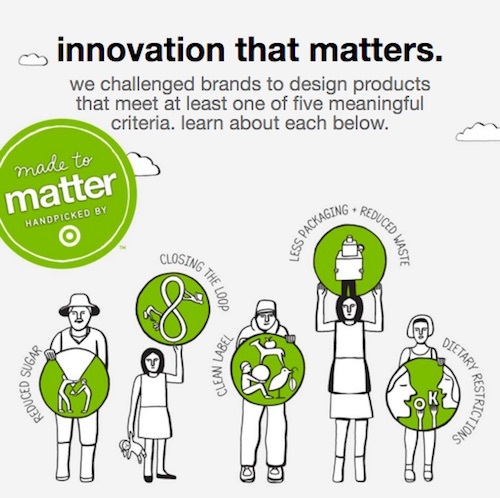 Follow the #MadetoMatter hashtag on social media to see what other great products are in the collection. 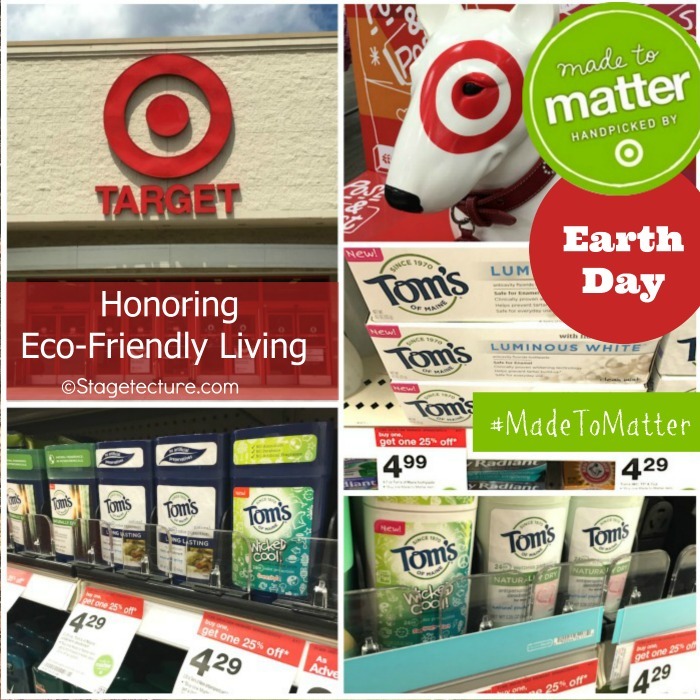 Earth Day doesn’t have to be your excuse to live a healthier and eco-friendly lifestyle. Encourage your family to keep healthy for themselves and for generations to come!